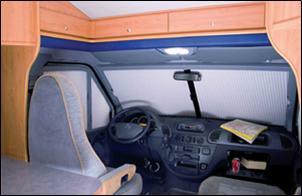 Remis Remiflair are blinds for the motorhome and caravan. 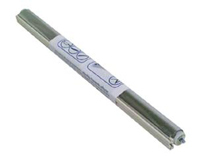 Sunscreen and flyscreen in a slimline cassette. 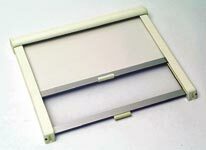 Beige frames, textured beige sunscreen, white flyscreen and satin aluminium crossbars. How to measure: Measure the overall width and height of the window to the outside edges of the rubber surround and add 30mm to the width and 100mm to the height. Choose a size slightly larger than the width measurement. Measure your window, take the larger size and trim accordingly. Simple instructions, mounting brackets and screws included. 3 sizes available. Approximate depth from wall is 4cm.